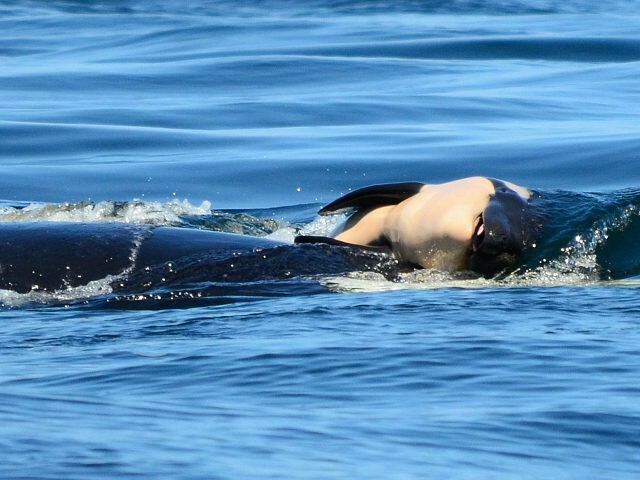 A grieving orca mother was spotted lifting the corpse of her infant to the surface for air off the coast of Victoria, British Columbia. The heartbreaking sight is just the latest ill omen for an orca population that has reached its lowest number in more than 30 years. These magnificent marine mammals have found themselves without the supply of Chinook salmon on which their diet depends and are plagued by both pollution and direct human interference. Hanson described a 4-year-old orca in the pod designated J-50 as “clearly emaciated” when he and his colleagues observed her from their boat near San Juan Island on Saturday. “You could see the shape of her skull through her blubber,” added UW Center for Conservation Biology’s Deborah Giles. In March, Washington Gov. Jay Inslee signed an executive order for direct action to save the diminishing population. A task force has been meeting since May and will make their report sometime later in 2018. “The death of the orca calf is a heartbreaking reminder of the urgency we face in saving these iconic animals,” the governor’s spokesperson Jaime Smith told WKRN via e-mail.